Get a taste of Meet the Malones with the first chapter! 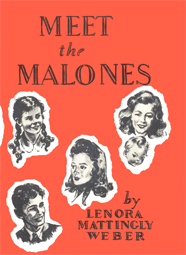 Meet the Malones is the introductory book of the Beany Malone Series! Copyright David Weber. All rights reserved. Mary Fred Malone had just bought a horse. He was black and his name was Mr. Chips and Mary Fred was riding him home. The January wind had the moist breath of snow as it rippled the bridle reins, flapped the green scarf over Mary Fred's unruly dark hair, tugged at the end knotted under her tanned, squarish chin. She thought, "I've bought a horse." The thought could still startle her. For certainly she had not had the slightest intention of buying a horse with the money which had been sent her to buy a formal for the spring prom at school. Mary Fred rode down the sandy road that led from the Hilltop Stables toward the outskirts of Denver, and the very rhythm of Mr. Chips' trot, the very flapping of her scarf in the wind kept time to an excited singsong inside her, "Mr. Chips is mine, all mine. He's nobody else's but mine!" And Mr. Chips' ear kept twitching back, as though he didn't want to miss a word of it. She reached over and patted his warm, black, sinewy shoulder. Mary Fred Malone was sixteen now. She had been riding at the Hilltop Stables since she was eleven and had come out in a school club to learn to ride. All that time she had loved the black horse, Mr. Chips, with his two white forefeet and the splash of white in his forehead that someone said had started out to be a star and then fell. He was a wise and gentle horse. Their whole class had learned to ride on him, and then, later, to take the hurdles. From the Hilltop Riding Stables to Mary Fred's home was four and a half miles. She knew because she often drove out with her chum, Lila Sears, when Lila's mother let her take her car. Lila's mother was the kind who charted every quarter-hour in Lila's life for her. "It's four and a half miles between here and the stables," she would say firmly, "so you girls can ride for an hour and then leave there promptly at five-thirty. That will give you time, Lila, to drop Mary Fred off" (for Mary Fred lived only a block from Lila), "and be home in time to change for dinner at six." And since the Japanese had fired on Pearl Harbor in early December, she always added, "Remember, our country is at war, so don't waste gasoline." Just as Mary Fred and Mr. Chips reached the bridge which crossed the sand creek, a car's honking sounded behind them, and she pulled Mr. Chips to one side. It was Lila in her mother's roadster. If Mary Fred hadn't been riding her new purchase she would have been there in the seat beside her, dividing a candy bar. Lila sat a moment regarding Mary Fred and her newly bought black horse, and her expression of anxiety and admiration was typical of Lila. Since they were four years old, Lila had tagged at Mary Fred's heels every minute she could escape her mother's jurisdiction, and because she was so dominated herself she worshiped Mary Fred for her unhampered initiative. But now she said worriedly, "Honest, Mary Fred, you better change your mind and take Mr. Chips back." "I can't," Mary Fred said with an overbright smile. "Mack said I couldn't bring him back. He said as long as I had spoiled his sale of Mr. Chips to the farmer, I'd have to stick to my bargain." "Did you pay for him?" Lila asked. "I paid him that fifteen dollars I had with me--you know I brought it along because we were going to shop for our formals. And I promised to finish paying Mack the other fifteen for Mr. Chips just as soon as I could." Mary Fred and Lila had planned to meet Lila s mother at a dress shop on Colfax Avenue after their ride and start hunting for dresses to wear to the big Spring Formal in March. Lila often said that her mother stalked dress bargains with the same zest that a hunter stalked his prey. "If only you hadn't had that fifteen dollars with you!" Lila lamented. "My grandad always said that money or a gun in your jeans could get the best-intentioned fellow into trouble. If only those doggoned old new boots of mine hadn't pinched my feet so I had to go change them and leave you there with Mr. Chips." For it had been in those brief moments while Lila was changing out of her stiff new boots that Mary Fred had drifted over to the stall where a black head looked out wistfully. Mack, the owner of Hilltop Stables, had explained to them that he would have to sell the horse for a low price because of a strained tendon in his right foreleg. Mack, who was a kind owner, had sighed. He hated to part with Mr. Chips; he'd never had a horse as sweet-tempered, as generous, as understanding. The leg would be all right if it were humored for a few months, but, because Mack had so many clubs taking military riding, he had to fill every stall with an active, rentable horse. He was selling Mr. Chips cheap to a neighboring farmer. "Why didn't you let the farmer buy him?" Lila wanted to know. Mary Fred took a long breath. "Well, I was standing there by Mr. Chips' stall and he was kind of nuzzling at my shoulder?" "He's always been crazy about you, Mary Fred," Lila said.
" --and this farmer came in and he was dirty and smelly and mean--you know the kind who wouldn't even give his kids or his wife a kind word and he reached up and yanked Mr. Chips' head down and started to pry open his mouth to look at his teeth and Mr. Chips reared his head back and the fellow cuffed him hard right on his nose and and, honestly, it made me sick. Sweet old Chips!" "I know," Lila said soberly, remembering back to when she, a scared little beginner, had climbed up on his steady back. "I never could have taken my first hurdle if Mr. Chips hadn't--oh, kind of promised me he'd see me through." A few heavy flakes of snow came sifting down. Mary Fred stared at the fragile perfection of a frosty star on her green-gloved hand. "You'd better go on, Lila," she said, "and meet your mother. It's going to snow." Lila reached for the starter, shook her head sadly. "It worries me for you to be taking that horse home. Even though you're a Malone. My folks would just hit the ceiling--and I can't even imagine what would happen to me when they came down." Mary Fred watched after Lila's car as Mr. Chips jogged on. Nor could she, Mary Fred, imagine what would happen to Lila if she ever did anything not previously sanctioned by her mother. Lila couldn't buy a pair of stockings without her mother at her elbow choosing the shade, deciding on the price. 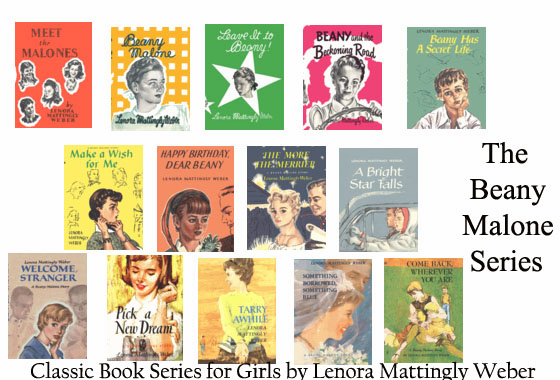 Lila's whole life was bordered by the phrase, "But Mother thinks?" Mary Fred remembered one time when they had been at the neighborhood store and Lila had lamb chops on her list. The butcher had no lamb chops and Mary Fred said, "Why don't you get ham?" But Lila didn't dare. She had to telephone her mother and ask what she should substitute for the lamb chops. It had never been that way in the Malone home. The young Malones made their own decisions about lamb chops and life. "Dictators only make you soft inside," Mother used to say, and then she'd look at Father and smile, "I married in a hurry to escape dictatorship." Mary Fred's mother had been dead three years now, but her father had the same ideas about young people making their own decisions. He wouldn't hit the ceiling when she told him she had bought a black horse. He would only say soberly, "Well, Mary Fred, if you've bought a horse, then that's your responsibility. You'll have to take care of him no matter what hardship it works upon you." She could feel his very gentle gravity; it reached through the excitement of buying Mr. Chips and riding him home. Mr. Chips' limping became more pronounced as the miles grew. Mary Fred's happy exultancy had slowed down, too. Now the chant inside her seemed to keep time to that querulous tune, "What you goin' to do when the rent comes 'round?" Only the words were, "What you goin' to do when you get your horse home? What you goin' to say? How you goin' to pay?" That was it! How was she going to pay? Fifteen dollars to Mack besides the steady output for hay and oats for Mr. Chips. She hadn't thought of that when she had said so impulsively, "I'll buy Mr. Chips." She was almost at the city limits now, though the snow was swirling down so heavily she could see neither the university buildings nor the myriad of cozy homes she usually saw from this rise. She hated to ride a limping horse. She slid out of the saddle and walked along, leading him. The snow kept balling up on the heels of her riding boots. Deliberately she shifted from her worried thoughts to some that were more pleasant. She remembered that this was the day her brother Johnny was to trade in his old typewriter for a newer one. She tried to walk fast for she had promised him that she'd be home in time to clean off his big old desk, which had started life as a mission table and which Johnny and she, hoping to dandy it up, had once painted blue. Yes, today was the day Johnny was to turn in his old high-busted typewriter and pay down his savings--not for a brand-new typewriter, but for one that would not skip two spaces or none at all when you hit the space bar, and would not write all the s's, m's, and u's as capitals. In short, Johnny's old typewriter was as unpredictable as Johnny himself. Mary Fred's fond smile became a chuckle at the thought of him. He was fifteen, a year younger than Mary Fred, and the genius of the Malone family. He could be handsome if he ever settled down to it, with his soft black eyes and endearing flash of smile. But his hair was always too long and a lank swoop of its blackness never stayed put, so that his younger and more practical sister Beany was always saying, "Johnny, push your hair out of your eyes." Johnny was a sophomore at Harkness High where Lila and Mary Fred were juniors. Johnny could write. Whenever there was an essay contest on "What America Means to Me," or "Radio in Education," other contestants grumbled, "No use us entering if Johnny Malone does." He was the delight of his English Lit teacher, gray-haired, gray-eyed, gray-garbed Miss Hewlitt. This year the school had put on a gay-nineties farce and a Christmas play, both of which Johnny had written on his space-jumping, capital-writing machine. 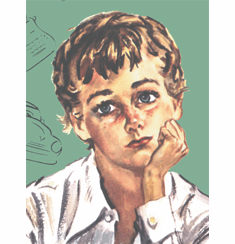 Again and again Johnny had been delayed in his acquiring of a better typewriter because of his half ownership in an eleven-year-old red car that was always needing a new fuel pump, or gasket, or headlight. Johnny and his friend Carlton Buell, who lived next door to the Malones, had purchased this bright red jalopy together. Although Johnny was half owner of the car, he wasn't old enough to procure a driver's license. It was often torture for him to keep his hand off the wheel and to get Carlton or Mary Fred to drive him places. Johnny had one other trait which was a constant exasperation to his thirteen-year-old sister, Beany. He had such large-scale ideas. He could never buy a little bit of anything. If they sent him to the store for ham to fry, he would return with a whole ham. Beany never took down the pint bottle of almond extract without muttering, "That Johnny! We'll have almond extract the rest of our life, just because I asked him to get a little to flavor some icing." The snow was coming down in great wet flurries by the time Mary Fred reached the edge of town. There was not much farther to go. She stopped and thumped her cold hands together, squirmed her foot on which the boot had rubbed a blister. Mack had given her a gunny sack half full of oats, to last Mr. Chips until she could buy some for him, and it hung with its weight divided over Mr. Chips' shoulders. She shook the clinging snow off it, too. Mary Fred took a few steps, stopped again to reach inside her boot and pull her stocking smooth over her rubbed heel. She was leaning over with her weight against Mr. Chips' foreleg and shoulder, when through the heavy air came the screech of brakes, a woman's startled "Oh! Oh-h-h!--" and then the thudding, scraping impact of two cars coming together. Mr. Chips startled lurch sent Mary Fred sprawling in the snow. Scrambling up quickly, she blinked the snow off her eyelashes and looked in the direction of the sounds. She gave a shocked and frightened cry. She pulled hard at the unwilling horse as she ran forward.